System Standex manufactures and stocks 4 ranges/styles of folding portable display counters and showcases. All are manufactured from high quality purpose designed aluminium profile and the stock counter is supplied complete with a white powder coated top and storage shelf. 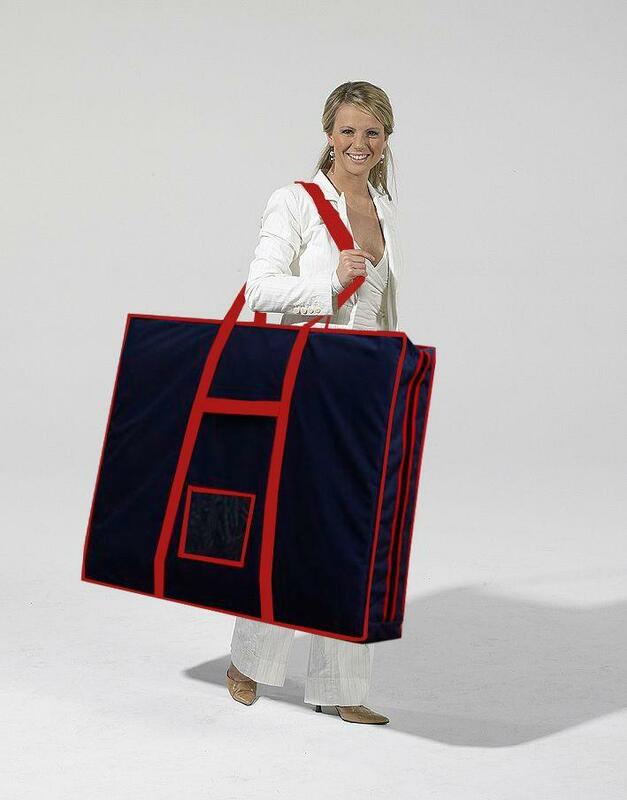 We offer a range of stock accessories that include sliding locking doors, an additional base shelf, top signs, nylon transport bag complete with compartments, and shipping/transport case. A robust and light weight range of portable folding counters and showcases. Widely used in the exhibition industry they are perfect for the display and promotion of goods, brands and services.The easy to fold display counters fold flat making them easy to transport and easy to store. In addition they are used for reception desks, information counters and portable furniture. Equally at home as folding portable counters and showcases in the events industry for folding furniture plus counters and showcases for the display and sale of merchandise. They are used for the promotion of goods and products as folding in store portable demonstration counters – perfect in supermarket and retail environments. Portable museum showcases – folding counters in pop up shops – charity promotional counter. The side and infill panels are easy to fit and replace making the graphic panels easy to change. The graphics are fitted into the counter frame work allowing you to transport the counters complete with graphics in place and all ready to go. A stock range of modular sizes plus accessories that include sliding lockable doors, base shelf, header signs, transport bags and cases. Folding portable counters and showcases can be manufactured to your specific sizes and colour. Bespoke accessories are also available.